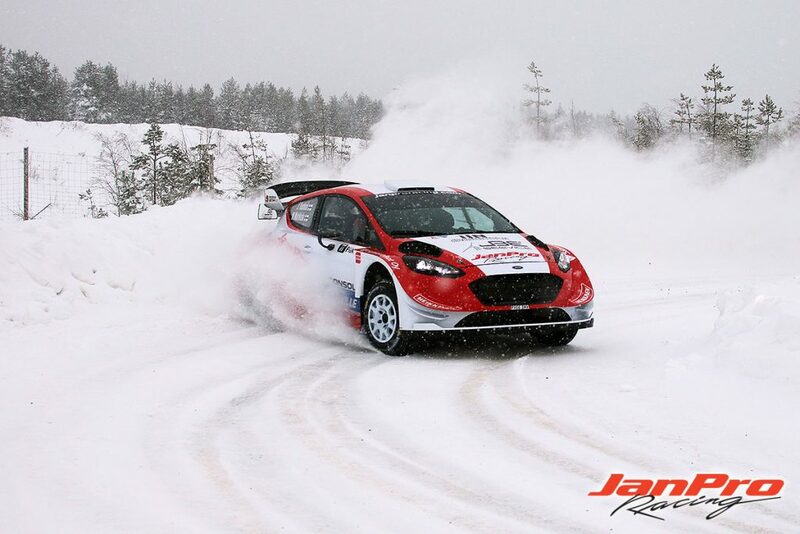 JanPro Racing rents Ford Fiesta RS WRC Rally Car for all Rally events, WORLDWIDE! Czech rally driver Tomáš Kostka, 34, opens his rally season with JanPro Racing Ford Fiesta RS WRC in Vančík Rallysprint Kopná which is to be driven in Slušovice, near border of Slovakia. Tomáš and his co-driver Ladislav Kučera prepared the event with a test and were very happy for the performance of the car. Finnish rally driver Janne Tuohino made a trouble-free and steady one-rally comeback to World Rally Championship series with JanPro Racing Ford Fiesta RS World Rally Car as he and co-driver Mikko Markkula increased their speed during the intense three days of traditional Swedish Rally which was driven in very difficult ”winter rally” conditions. Finns entered the event by just two weeks of short preparation time which included two days pre-rally test day covering approximately 130 competitive kilometers. After setting their goals to TOP-10 in overall classifications, Tuohino and Markkula made a uprising special stage times throughout the 19 fast-paced special stages and 316,80 tricky special stage kilometres. Tuohino, who previously had, 13 years ago, competed with a World Rally Car, was happy for his performance in a rally which reminded more gravel than a snow rally. Exactly 20 years ago Tuohino drove his first-ever event with a World Rally Car and now he collect one World Rally Championship point after avoiding all drama the thrilling rally gave for fellow competitors. It was also first-ever Championship point for new JanPro Racing which was put together in just three weeks time before its’ first World Rally Championship event. – After first tricky rally day we noticed that our preparation wasn’t enough as our pace was a bit dissapointment. However after setup changes our pace improved and we managed to climb up in overall classifications to positions we had set for ourselves befofe the event, Tuohino tells. – Eventually me and JanPro Racing fullfilled all our goals we both had set for the rally as I’m happy for TOP-10 position in overall results and JanPro Racing got the vicibility we hoped for to market the Ford Fiesta RS World Rally Car which is available for customers to rallyes, Worldwide. Ford Fiesta RS WRC is the best-ever rally car I have driven in my 23 years of rally career as the performance of the car is complitely amazing. Now as there’s modern and competitive WRC car available, I strongly recommandate to try it, Tuohino continues. 2019 edition of WRC Rally Sweden was won by estonian Ott Tänak and his co-driver Martin Järveoja. 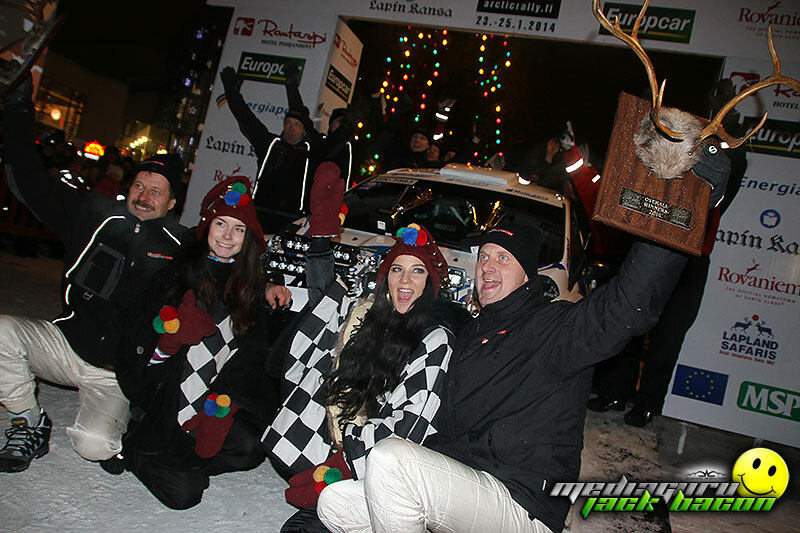 After colorful events another Flying Finn Esapekka Lappi and co-driver Janne Ferm collect second position as they were three seconds faster than Thierry Neuville and his co-driver Nicolas Gilsoul, who took the third podium position. JanPro Racing Ford Fiesta RS WRC is available for rent in rallyes around the World. Contact us for more information! Please view gallery for pictures and videos from the event! JanPro Racing is a new Rally Team which owns and rents Ford Fiesta RS WRC for customers who want to compete in top level rally car either in World Rally Championship series/events or other regional or national series/events. Team manager Janne Tuohino introduces the car and the team in WRC Rally Sweden 2019. He has over 25 years of experience from rallying in its’ many levels and he is surrounded with professional and highly qualified motorsport people. With new service truck and hardware and professional staff JanPro Racing can offer a highly competitive package for ”future rally stars”, experienced semi-professional driver or gentlemen driver. Please ask your personal offer! Ford Fiesta RS WRC – Championship winning rally car! In season 2017 FIA introduced ”new era” World Rally Car. In seasons 2017 and 2018 british M-Sport driver Sebastien Ogier won the title of World Rally Champion with Ford Fiesta RS WRC. Now two seasons later JanPro Racing is the first privateer team which rents the car for customers. – The idea of running an own team after my active career has been in my mind. Now when this kind of opportunity came around I decide to take it an therefore JanPro Racing is now the first private WRC team in the World which rents a modern WRC car for rally drivers. Our Ford Fiesta RS WRC Rally car is available for renting with tailor-made package according the needs of each customer. JanPro Racing is in co-operation with M-Sport in WRC events and in other events our own team and mechanics takes care of the car and all services during the rally. This is very unique project and opportunity in the World, Tuohino tells. More information, pictures and videos coming soon! – Brakes on gravel: 300mm Brembo ventilated discs with Brembo four-piston monoblock calipers. – Brakes on tarmac: 370mm/355mm Brembo ventilated discs with Brembo four-piston monoblock calipers.